The 2008 Run For Life was bigger than ever, with 900 people taking part. As in 2007 the event was split into three categories for children, women and men. 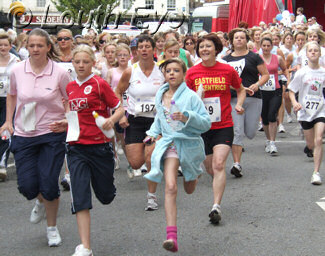 The children's race took place at 10 am, with a 1km course around the town. 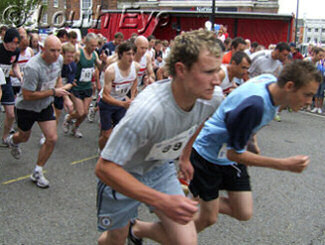 The adult races follow a 5km course which loops around Hubbards Hills to finish in The Cornmarket. Janine Stones (on the right of the picture) of Mablethorpe Running Club took first place in the women's race, with a time of 19 minutes 32, followed by Alex Sharp (on the left) at 20 minutes 24. The men's race took place at noon, and was won by Richard Brown (number 87) with a record-breaking time of 16 minutes 30. 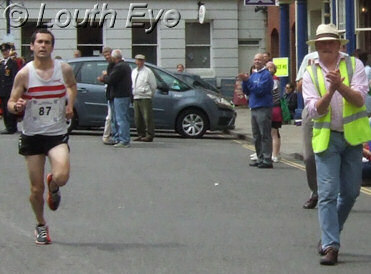 This replaces the previous record for the Louth race, set by Paul Jackson in 2007, of 17 minutes 09. 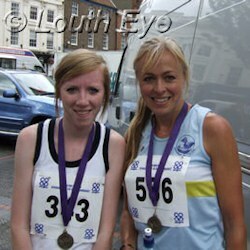 This year saw a good showing from Louth Athletic Club, with the first, second and third places going to its members. In spite of an unpromising forecast, the weather was mostly fine, with only a light drizzle during the men's event. 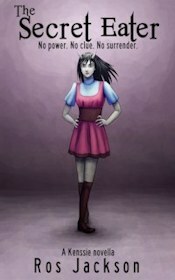 The run is in aid of Cancer Research, and many of the people taking part were running in memory of a particular person. Memorable costumes included a group of Mr Blobbys, pink bunnies, and some high-kicking Taekwondo practitioners. On Saturday, 24th June the Louth XSports Skate Park was officially opened for skateboarders, bikers, and scooter riders to enjoy. Crowds turned out to watch and take part in the 11th Run For Life in aid of Cancer Research UK. The head of Honda Racing UK opens an exhibition that explores the history of the local racetrack to mark its 80th year.